Staying relevant and connected with your customer base means that providers need to focus on the components of their business that cannot be outsourced. The items that resonate with core customers revolve around passion, focus, respect, and the hard work it takes to run a hosting business. Industry experts agree that very large companies simply cannot provide this human element. At XMission, passion for our products and customers is a way of life. I should know, I’ve been working here nearly 18 years and there are 2 others with more time here than me. We have an unusually high percentage of long-term staff who have stayed for more than 10 years—very rare in the tech industry where job hopping in commonplace. What does it mean? It means we do something right. A great workplace, amazing benefits, and all with the customer at center focus. * Leaks everywhere! Privacy and you. Privacy is on everyone’s mind at the provider level. Many service providers are still struggling to determine the best policies and how to protect their customers. This policy determination usually comes from the top (CEO level) and can take time to implement. Many providers noted that customers gave little regard to privacy policies until the recent leaks around the NSA Surveillance Program and PRISM. Don’t forget, as an Internet services consumer you have the ability to qualify your vendor. Find out what your host stands for and what they will do to protect you, your data, and your rights. Disclosure and transparency are key to building a better Internet and customer loyalty. Supporting organizations for hosts—such as Internet Infrastructure Coalition (i2C), Electronic Frontier Foundation (EFF)—and provider transparency reports are bringing more clarity to provider and consumer rights on the Internet. XMission wholeheartedly endorses EFF and i2C. * The most hated word, ever. “Cloud” is the most loathed and simultaneously beloved term in the industry. The core technologists hate it. CEOs, SMB owners, and lawmakers are scared of it. Marketing teams slather it about like ice cream on pie. Adding terms to it such as “Computing”, “Public”, “Private”, “Hybrid” and more just increase consumer confusion. Most presenters agree that whatever the best term is for utility computing beyond the local firewall is that “Cloud” isn’t doing much good. At least the conversations are being started and the market has nowhere to go but up. Be prepared to hear and see more use of “Hybrid” as the industry moves forward. It is time to blend everything together. I think of it like “bundling” of services, but rather than being paired together services now integrate. For example, your managed Hosted PBX will integrate with your Email & Collaboration suite. * Services have become Vanilla. Several presenters said that most hosts now provide effectively the same products for effectively the same price points. What sets a provider apart in the vanilla market? Differentiating yourself and finding your niche. This goes back to loving what you do. Find the customers that respond to your passion, products, and services and focus on those segments. One presenter mentioned research indicating that most customers purchase an average of 3 services from a provider. It is forecasted that by 2016 that average will elevate to 7 products and services. Forecasters also agree that this fledgeling market creates an ideal environment for partnerships; this include fostering Channel Partner programs, joining federated service provider networks, and other service verticals. If you can’t build and deploy it, buy it or partner elsewhere to bring it to your customer base. It is estimated that indirect sales account for nearly 70% of tech industry revenue. Wow! This is how XMission managed services create opportunity for our partners. Speaking of which, watch for an announcement about our Channel Partner Program in a few days. If you get a chance to visit be sure to visit places like 6th street, Easy Tiger, and so much more. The food is amazing and the music scene is surreal. 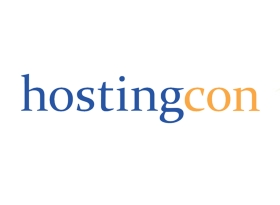 If you visited HostingCon or have questions or comments about the trends we are seeing in the industry please leave comments below. I would love to hear from you.